Bob Barker will be a guest tonight on Larry King Live at 9pmET! This is a letter that Bob Barker wrote to Hamilton James, President and COO of The Blackstone Group - the company that owns SeaWorld. I am writing on behalf my friends at People for the Ethical Treatment of Animals (PETA) and their more than 2 million members and supporters around the world, as well as everyone who wants to see whales and dolphins living free in their ocean homes and human beings protected from needless attacks when those animals are kept in captivity. The death of yet another trainer at SeaWorld did not have to happen, and I must appeal to you to take strong action now so that it never happens again. I know that the Blackstone Group was asked to close the SeaWorld theme parks when you acquired them last year. I urge you to make that humane move now and to start moving the captive orcas and other marine mammals to transitional coastal and wildlife sanctuaries and replace them with state-of-the-art virtual reality exhibits such as those used in the hugely popular "Walking With Dinosaurs" exhibits that wow youngsters and adults alike. The experience would be like watching free-living wild animals, whereas captive animals' unnatural and neurotic behavior patterns are dull to watch and undeniably linked to their oppressive environments. This is not the first time that a trainer has been seized, thrown against the walls of the tank, and held down to drown. I cannot imagine what the sight of such a hideous event would do to a child in the audience. Deaths of animals and human injuries are also common. The intelligent, social, ocean animals kept in the most pitifully small tanks at SeaWorld are denied everything that is natural and important to them. In the wild, they swim up to 100 miles a day in the open ocean, but captured dolphins are confined to small tanks where the reverberations from their own sonar bounce off the walls, driving some of them insane. Some of these animals were violently captured from their homes, many are forced to learn circus-style tricks, and according to whistleblower tips from trainers, withholding food and isolating animals who refuse to perform are common training methods. The only thing that people learn from visiting a SeaWorld theme park is how miserable life is for animals held there. I am most respectfully urging the Blackstone Group to immediately set in place a firm and rapid plan to release the animals to sanctuaries that can provide them with a more natural environment. I can be reached through PETA at 202-540-2199. I would appreciate hearing from you. Thank you for your time and consideration. President Obama and GOP leaders clash on health care reform! The heated debate continues with Democrat Howard Dean and Republican Bill Frist! Did today’s summit accomplish anything? Plus, the director and star of the Oscar-nominated movie ‘The Hurt Locker’ are here! Kathryn Bigelow and Jeremy Renner take us into the dangerous and deadly world of explosives. And, get the latest on the tragedy at SeaWorld! Why some say this will happen again! Jack Hanna will be here. He knew the trainer who was killed! And, Bob Barker’s plea to set the whales free. Do YOU think killer whales should be kept in captivity? 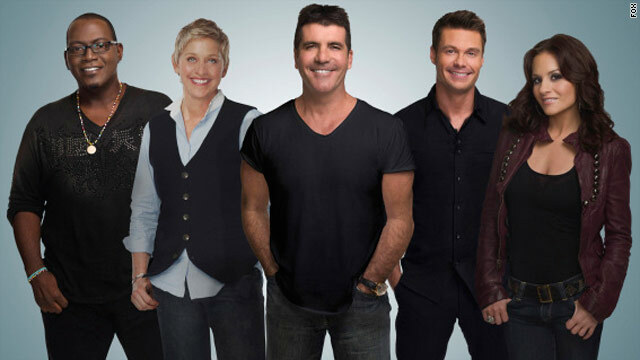 American Idol update: Top 12 men perform last night! As the top 12 guys got ready to take the stage, the judges and Ryan seemed to be aware that nerves may have sabotaged the women’s performances the night before. Kara advised the singers to imagine themselves into a safe, comfortable place. “Like Little House on the Prairie,” said Simon. A little house must be hard to find on Idol. The boys, like the girls, were a frustrating bunch. Tim Urban, who was brought back at the last minute when Chris Golightly was eliminated because of contract issues, was the big question mark of the night. It would have been nice if he triumphed — he looks so much like a cute, young pop singer — but on OneRepublic’s “Apologize” his voice kept creeping into a higher, squeaky register, as if someone were stepping on his foot. Simon congratulated him for returning, then — bang! — said he still didn’t deserve to be in the top 12. For now, at least, “people will want to vote for you because you’re adorable,” said Ellen. Dude looked crushed. And he’ll probably stay, despite or because of this stumble. Andrew Koenig's father, hoping his missing son just wants to be alone for a while, made an emotional appeal directly to him Wednesday. "I just want to know you're OK," Walter Koenig said at a news conference in Vancouver, Canada. "If it means you just want to stay here, that's OK. You don't have to come back. Just let us know that's your intention." Walter and Judy Koenig have been distraught since they realized the former "Growing Pains" star missed his flight from Vancouver to Los Angeles, California, last week. The last time anyone who knows Koenig saw him was at a friend's Vancouver home on February 14, police said. About 30 police officers formed search teams Tuesday to scour the city's 1,000-acre Stanley Park, where friends said Koenig, 41, liked to take long walks, police said. The president and CEO of Toyota gives his first interview to Larry since he personally apologized to millions of American Toyota owners today for safety defects that have lead to deaths and recalls. What is Toyota going to do to solve these problems? Plus, a trainer was killed by a killer whale today at SeaWorld in Orlando. And it wasn’t the first time! The latest. 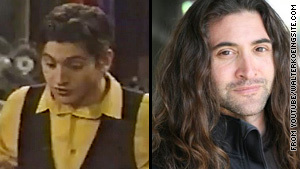 And, the parents of former ‘Growing Pains’ star Andrew Koenig – who has been missing more than a week. Their desperate plea. It’s all tonight on Larry King Live at 9ET/6PT! Would you buy a Toyota? Toyota president before Congress today, on LKL tonight!! 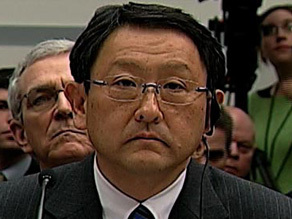 NOTE: Toyota chairman Akio Toyoda testified on Capitol Hill today, and will be our EXCLUSIVE guest tonight!! What do you want to hear from Mr. Toyoda?? Let us know NOW!! Get the latest on this story tonight on Larry King Live at 9pmET! 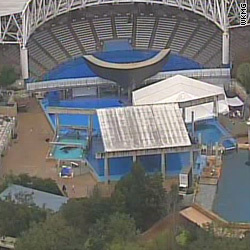 (CNN) - A killer whale killed a trainer Wednesday afternoon at SeaWorld's Shamu Stadium in Orlando, Florida, a public information officer for the Orange County Sheriff's Office said. The woman, 40, was in the whale holding area about 2 p.m. when "she apparently slipped or fell into the tank and was fatally injured by one of the whales," Jim Solomons said. "There's no sense of foul play; right now, this appears to be an accident." "One of our most experienced animal trainers drowned" in the accident, said Dan Brown, vice president and general manager of SeaWorld Orlando. He said an investigation will be carried out. "We'll make our findings known in due course," he said. "We've never in the history of our parks experienced an incident like this. 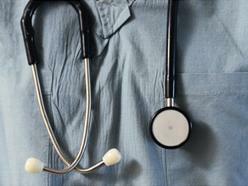 All standard operating procedures will be reviewed." He would not elaborate. "Please bear with us; we've just lost a member of our family," he said. A patron who did not witness the event said the park refunded her entry fee, although a spokeswoman said the park remained open. President Barack Obama’s top advisers are quietly laying the groundwork for the 2012 reelection campaign, which is likely to be run out of Chicago and managed by White House deputy chief of staff Jim Messina, according to Democrats familiar with the discussions. The planning for now consists entirely of private conversations, with Obama aides at all levels indulging occasionally in closed-door 2012 discussions while focusing ferociously on the midterm elections and health care reform, the Democratic sources said. “The gathering storm is the 2010 elections,” one top official said. But the sources said Obama has given every sign of planning to run again and wants the next campaign to resemble the highly successful 2008 effort. David Axelrod, White House senior adviser, may leave the West Wing to rejoin his family in Chicago and reprise his role as Obama’s muse, overseeing the campaign’s tone, themes, messages and advertising, the sources said. ICYMI: US Gold Medalist talks to Larry about Russian skater's dig! Secretary of Defense Robert Gates has notified Congress of plans to allow women to serve aboard submarines, a Defense Department official said Tuesday. Letters of intent were sent Monday to Congress, which has requested briefings on the matter, said the official, who asked not to be identified. There will be no vote on the matter in Congress. The change was recommended by the chief of naval operations and the secretary of the Navy in addition to Gates, the official said, adding that there was no opposition to the move among Navy leaders. A phased approach is being considered under which officers - who already have separate living quarters - would be the first to go co-ed, followed by crews, with the women bunking together, the official said. Crew space would have to be modified prior to that happening, the official added. 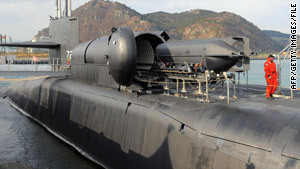 DO YOU AGREE WITH THIS – SHOULD WOMEN BE ALLOWED TO SERVE ON US NAVY SUBMARINES OR SHOULD THE BAN REMAIN? LET US KNOW WHAT YOU THINK!